One of the really precious aspects of the HLF is the conference organizers’ abilities to cultivate an ecosystem that encourages networking, especially between the Laureates and the young researchers. It is such a delight to witness how much the Laureates truly enjoy engaging the young researchers, and are eager themselves to pass on vital knowledge about the universe to these enthusiastic souls. I go to a lot of conferences, and I can tell you that this is not always the case with established leaders. While most stars of STEM do take pleasure in conversing with emerging leaders, they don’t always want to do it en masse, especially in the manner that you see at the HLF. But at Heidelberg, being hungry for information and guidance is a badge of honor that is graciously rewarded by the Laureates. So when William Kahan, 1989 Turning Award Winner, wandered over to me in the courtyard near the Hexenturm (the witch’s tower- oh, the irony! ), grabbed a seat, and just started talking, I leaned in close to listen. As Kahan started speaking, I asked him only two questions: May I write this down? And what would you like for me to call you? He said he’s been referred to as Professor since he was 12, so that was best. And in answer to my first query, he told me unequivocally yes, feel free to jot it all down, as it is stuff he has said before. Lucky for me, I had my trusty reporter’s notebook with me and my souvenir Baden-Württemberg pen. What followed was the unsolicited advice of a master scholar regarding the secrets to happiness, success, and lifelong prosperity- but he didn’t talk about maths and he didn’t talk about computer science. He talked about the true keys to success and happiness- finding the right life partner. “The partner you choose with whom to grow old will influence your career more than any other decision you make, so find the right partner- it is a research problem, you solve like any other problem, but do it soon before the good ones are used up. Alaina G. Levine is a science writer, science careers consultant, professional speaker and corporate comedian. She is the author of Networking for Nerds (Wiley, 2015), which was named a top 5 Book of 2015 by Physics Today. Contact her via her website or follow on twitter @AlainaGLevine. 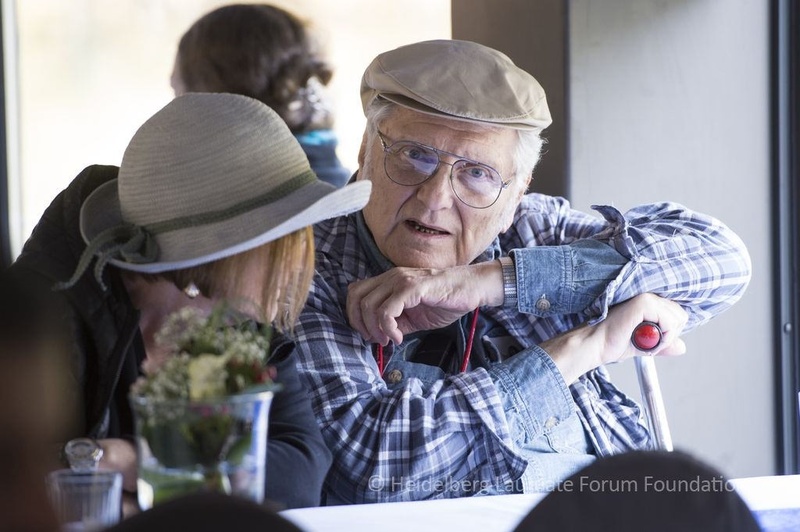 Der Beitrag That Time Turing Award-winner William Kahan Told Me How to Use Maths to Find a Husband erschien zuerst auf Heidelberg Laureate Forum.